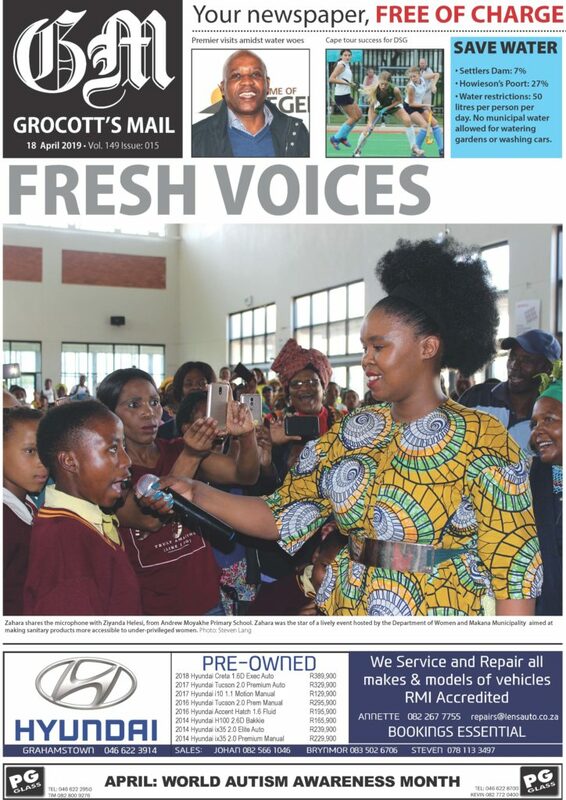 On a whistlestop tour on the first day of school last week, Grocott’s Mail found most Makhanda (Grahamstown) Primary Schools up and running. 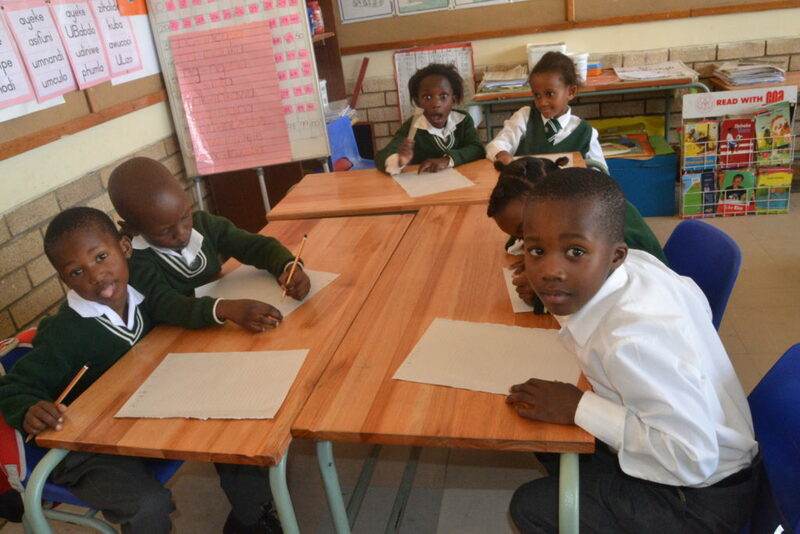 The Department of Education delivered stationery packs to the schools last year, giving learners a head start. With the exception of one or two schools, when Grocott’s Mails visited, school transport was working, teachers were in their classrooms and, at the no-fee schools, school meals were being served. Every school had more applications than it could accept – most because of their infrastructure limitations – simply not enough space to meet the huge demand for quality schooling for the town’s children. The major problem that three of the no-fee schools – Fikizolo, Samuel Ntsiko and Archie Mbolekwa are facing is the unavailability of water. The principals are concerned with the high temperatures and that children will need to drink water and go to the toilet. This means that they will have to take the children out before time, and that will interfere with their teaching. They said the municipality fills their tanks with water but there are often delays. The school traditionally starts a day early – “It sets the right tone for the boys,” said Principal Kevin Watson on Tuesday. Of 350 applicants, the school, which educates boys from Grade R to Grade 12, was able to accept 45, bringing to total number to 658. Acting Principal Michelle Rafferty said so far, all was going to plan. They had orientation for their new girls on Tuesday. VP took in 252 applications by June (their closing date for applications) and have managed to place 76 girls. Their total enrolment for 2019 is 463 girls. Principal Nombulelo Koliti was not yet sure of the number of admissions, as they were still counting the number of pupils for each class. “I believe 2019 is going be a smooth ride,” Koliti said. “We are already teaching and we are proud that the parents are getting used to the facts that we don’t relax on the first day of school. Parents registered their kids from the previous year, we are thankful. The new development of the informal settlement is causing us to lose a number of pupils each year. We received our stationery at the end of last year and we are now more than ready to take off for the year. 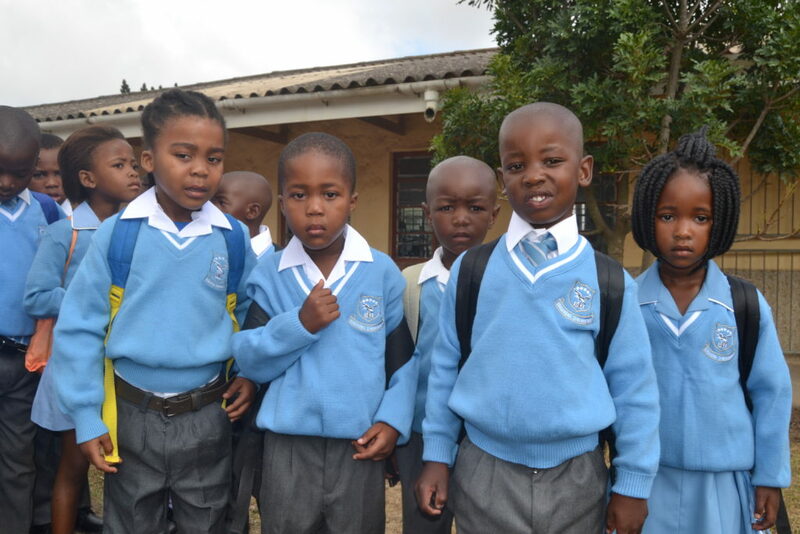 Principal Zoleka Kate said preparations for school this year went well because they already had their stationery. “The challenge we still encounter is parents who did not register their kids before the school closed last year. We are not yet sure of the number of kids we admitted this year, as our clerk was still counting this morning. Principal Manie Cronje said from 298 learners in grades 1-7 last year, this year they have grown to 316 and are at their maximum capacity. They had more than 220 applications for 2019. “As a highly functional school in the CBD, Good Shepherd is a no-fee school in high demand and also very popular. Good Shepherd is a public school on private property and is the oldest school in Grahamstown – 135 years old this year. We are blessed to work very closely with the Good Shepherd Trust,” Cronje said. Acting Principal Alison Dugmore said the school has 340 learners in total. They had 100 applications but only 30 places because of limited classroom space, with delays in the Department’s building of additional classrooms. Principal Leon Coetzee said the school has 307 learners in total. They have 15 new learners in Grades 1-7, of 40 new applications, plus 45 new Grade Rs. It’s a challenge for learners and staff because the school was packed up ready to move to its temporary premises while the new interactive school is built on the existing Currie Street site. However, there was a technical hitch, so lessons are taking place in the old classrooms for the first two weeks of the school year. Principal Anthony Douglas said the school takes 760 learners in total and admissions are not yet confirmed. “We help the poorest of the poor. We can’t turn children away. 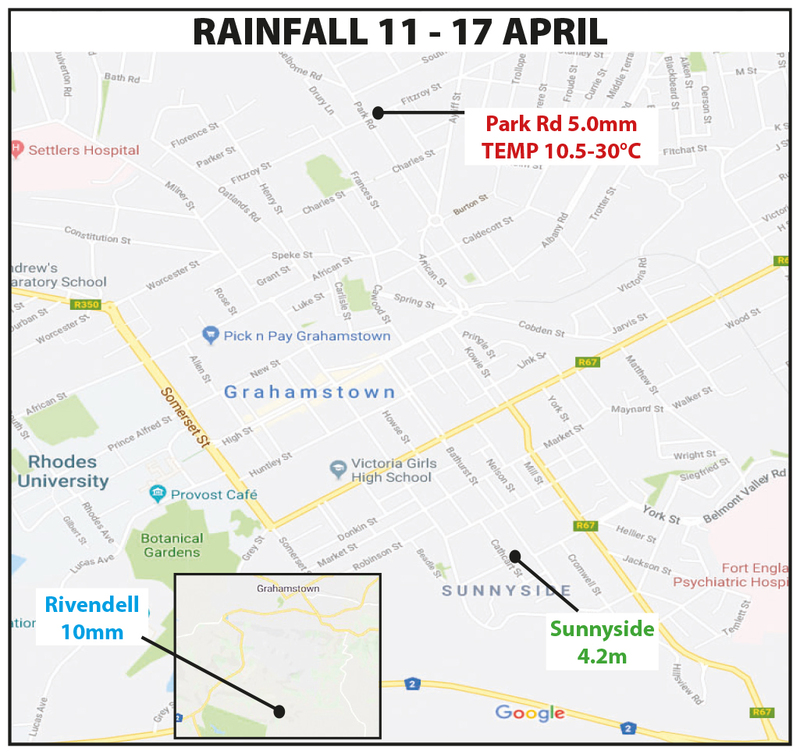 Most who come late are not from Grahamstown and come here under difficult circumstances – such as when their parents have passed away. Correctional Services came and cleaned up the school ahead of the first day. Founded in 1884, the school will be 135 years old in 2019. Princpal Gerard Jacobs said the total number is 765. Of around 50 applications for Grades 1-7 they were able to accept 15 and 35 remain on the waiting list. Transport is a challenge. There were 55 applications, but the Department accepts 39. “There is a group of learners who need transport and haven’t been accommodated,” Jacobs said. “It’s been a tricky start, because the school is short of a Grade 7 teacher, a Grade R teacher and an HOD post.” While these posts would be filled, it meanwhile put pressure on existing staff. Principal Anele Ndyolashe said the school takes 720 learners in total. Of 90 Grade R applications, 85 were accepted – “and they’re still coming in in dribs and drabs”. Of 65 applications for grades 1-7, 40 were accepted. No children at the school use scholar transport because they all live within 3km of the school. Construction of the schools new early childhood development centre is under way and they are looking forward to its completion. 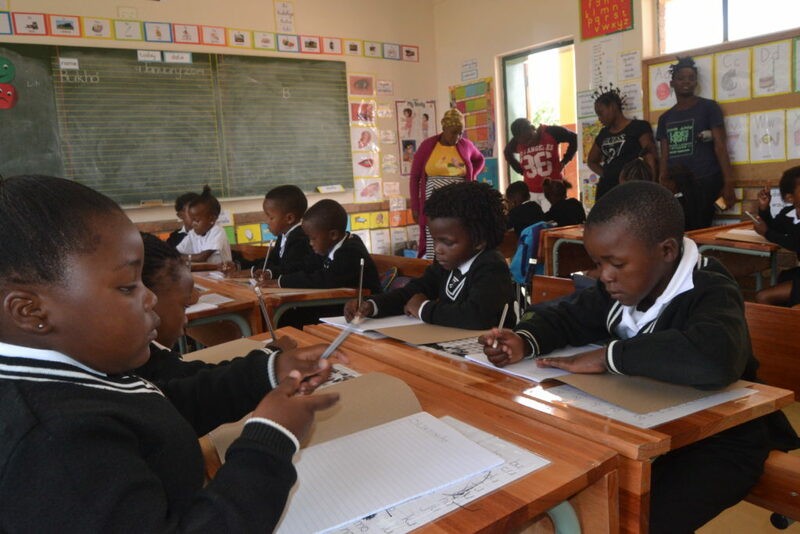 As schools in Fingo Village are losing learners to the new Inkanini informal settlement, so the Joza schools – Makana Primary in particular – are gaining them. The new informal settlement, Inkanini, was putting pressure on the school, Williams said. Sue Maclennan, Azlan Makalima and Lindani Donyeli contributed to this overview.